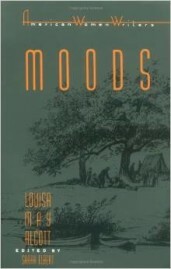 Sylvia Yule, the heroine of Moods, is a passionate tomboy (as was the author herself) who yearns for adventure. The novel opens as she embarks on a river camping trip with her brother and his two friends, both of whom fall in love with her. 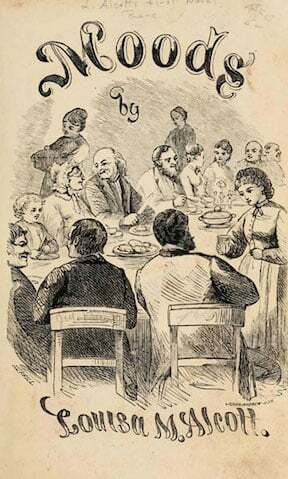 These rival suitors, close friends, are modeled on Ralph Waldo Emerson and Henry David Thoreau. 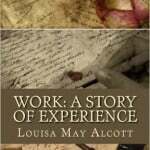 Aroused, but still “moody” and inexperienced, Sylvia marries the wrong man. 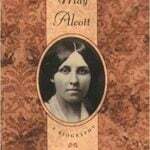 In the rest of the novel, Alcott attempts to resolve the dilemma she has created and leaves her readers asking whether, in fact, there is a place for a woman such as Sylvia in a man’s world. 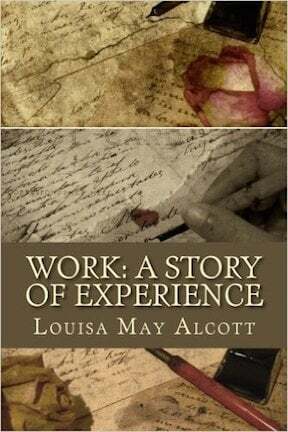 This new volume contains the complete text of the 1864 Moods and Alcott’s revisions for the 1882 version, along with explanatory notes by the editor., Louisa May Alcott’s first novel, was published in 1864, four years before the best-selling Little Women. This segment of chapter one demonstrates prose that is self-conscious and often overwrought. 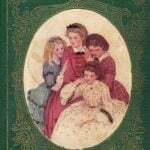 There is little hint of the more conversational, relatable prose and characterizations that would come just four years later in Little Women. Note, long paragraphs of the original have been broken up for easier viewability. The room fronted the west, but a black cloud, barred with red, robbed the hour of twilight’s tranquil charm. Shadows haunted it, lurking in corners like spies set there to watch the man who stood among them mute and motionless as if himself a shadow. His eye turned often to the window with a glance both vigilant and eager, yet saw nothing but a tropical luxuriance of foliage scarcely stirred by the sultry air heavy with odors that seemed to oppress not refresh. He listened with the same intentness, yet heard only the clamor of voices, the tramp of feet, the chime of bells, the varied turmoil of a city when night is defrauded of its peace by being turned to day. He watched and waited for something; presently it came. A viewless visitant, welcomed by longing soul and body as the man, with extended arms and parted lips received the voiceless greeting of the breeze that came winging its way across the broad Atlantic, full of healthful cheer for a home-sick heart. Far out he leaned; held back the thick-leaved boughs already rustling with a grateful stir, chid the shrill bird beating its flame-colored breast against its prison bars, and drank deep draughts of the blessed wind that seemed to cool the fever of his blood and give him back the vigor he had lost. A sudden light shone out behind him filling the room with a glow that left no shadow in it. But he did not see the change, nor hear the step that broke the hush, nor turn to meet the woman who stood waiting for a lover’s welcome. An indefinable air of sumptuous life surrounded her, and made the brilliant room a fitting frame for the figure standing there with warm-hued muslins blowing in the wind. A figure full of the affluent beauty of womanhood in its prime, bearing unmistakable marks of the polished pupil of the world in the grace that flowed through every motion, the art which taught each feature to play its part with the ease of second nature and made dress the foil to loveliness. The face was delicate and dark as a fine bronze, a low forehead set in shadowy waves of hair, eyes full of slumberous fire, and a passionate yet haughty mouth that seemed shaped alike for caresses and commands. The black brows contracted ominously, the mouth grew hard, the eyes glittered, the arm became a closer bond, the entreaty a command. She laughed low to herself, and the mobile features softened to their former tenderness as she looked up into that other face so full of an accusing significance which she would not understand. But as if the words had made the deed irrevocable, Warwick put her away, speaking with the stern accent of one who fears a traitor in himself.